"I am eating your child. Pray I don't eat him any further." Listen, we've all know the jokes about Elmo's puppeteer being a large black man named Kevin. At least those of us that knew Elmo's puppeteer was a large black man. But right now there are more pressing concerns. Kevin Clash–and more importantly Elmo–is taking a leave of absence from Sesame Street to better fight (with the support of producers) the allegation that he had a sexual relationship with a 16 year old boy. That's serious for Kevin, and unless they reveal the accuser is attempting to extort money after failing to successfully accuse Michael Jackson's corpse, Elmo may go the way of the Snuffleupagus. However, in the face of all that we as a society are going to have to wade through in the coming months, I am imploring everyone from men on the street to politically themed fake news hosts to avoid making "Tickle-Me Elmo" jokes. It's just low rent humor at this point. 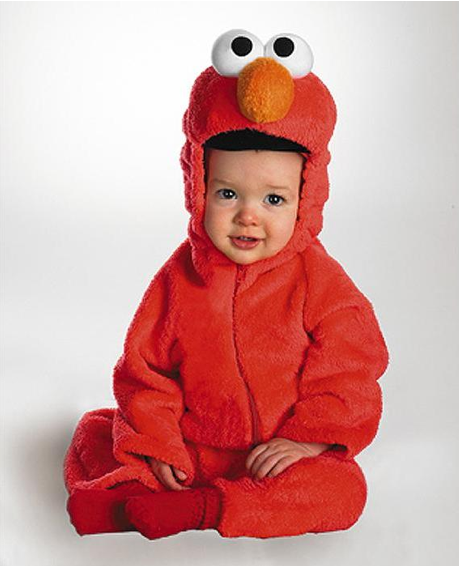 Make a joke about the Count teaching Elmo how to count to 18. Make some tasteless reference to all the toddlers on the show skewing Kevin's perspective of age. Just please don't make the same stupid joke for the eight umpteenth time.